Once you start the Gannon Ashtanga Vinyasa Yoga Teacher Training, your yoga adventure and your life experience will never be the same. This may sound like a bold statement, but it has been seen again, and again. Every year since 2002 when Michael Gannon started sharing this Yoga Teacher Training program around the world. At the same time yoga students are deepening their Ashtanga Vinyasa Yoga practice and learning how to share this practice… they are also deepening their connection with their teacher, Michael. This allows them to be awakened to the even deeper transformation that the practice holds. 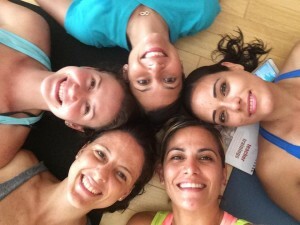 “I can share so much about the practice experience during yoga classes. For most students, more than they expected they could get out of daily yoga classes. And, the yoga teacher training experience takes this to a whole new level! The ability to connect with student on a daily basis for 8 to 10 hours turns the volume up to 11! Suddenly, the opportunity for trainees to hear, see, feel and repeat a process over and over everyday allows them to really understand the philosophy of, ‘repetition is the mother of perfection’. And we apply this same philosophy to the asana practice, the pranayama practice, the mediation practice, how to see the yoga body, how to adjust poses, how to speak to students, how to carry the energy of a group class, how to give good feedback and how to allow all of this to become etched into the yogi cerebral cortex. Then all this awareness becomes a natural part of the practice and teaching experience. Are you ready for this type of life changing transformation and connections? Your next chance is starting now during the GAVY Home Study Course leading up to the GAVY Ashtanga Vinyasa Yoga Teacher Training with Michael Gannon at Yogaloft Playa del Carmen, August 19 – September 11, 2016.
and 2 more spaces left for Mexican Nationals at a 10,000 MXN discount.